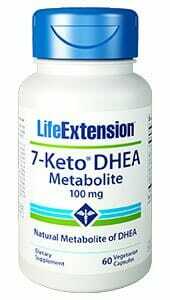 Advanced Lipid Control is clinically shown to support healthy levels of cholesterol, reduce inflammation in the arterial wall, and provide excellent antioxidant protection. Contains two key components to cardiovascular health; Capros amla and theaflavins. 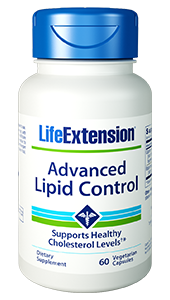 Life Extension Advanced Lipid Control is clinically shown to support healthy levels of cholesterol, reduce inflammation in the arterial wall, and provide excellent antioxidant protection. 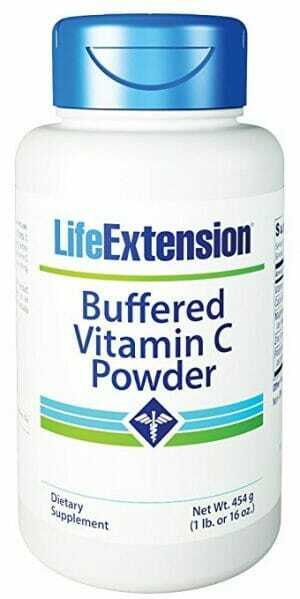 Contains two key components to cardiovascular health; Capros amla and theaflavins. In one human test, patients with both normal and high levels of serum cholesterol levels showed a reduction after taking Indian gooseberry. After the supplementation was stopped, the cholesterol levels rose again.8 A different human trial showed a significant reduction in total cholesterol, LDL (the “bad” cholesterol), and tyiglycerides, and there was a significant increase in HDL (the “good” cholesterol)9 In other human trials, black tea supplementation showed significant reductions in LDL and total cholesterol in patients with elevated levels.10,11 Combined into an easy-to-use vegetarian capsule, Life Extension Advanced Lipid Control gives you a powerful weapon for defense against high cholesterol. 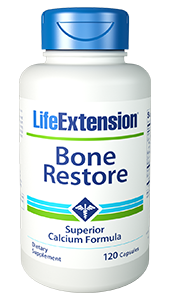 Capros® is a registered trademark of Natreon, Inc. This supplement has less than 6 mg of caffeine per serving (the amount found in 1/8 cup of brewed green tea).). 2. Zhong Yao Cai. 2005 Apr;28(4):304-6. 4. Folia Biol (Praha). 2007;53(5):164-72. 5. Crit Care Med. 2004;32:2097-103. 6. Diabetes Metab Syndr Obes. 2013 Jul 26;6:275-84. 7. Effect of tea flavonoid supplementation on the susceptibility of low-density lipoprotein to oxidative modification. 8. Effect of the Indian gooseberry (amla) on serum cholesterol levels in men aged 35-55 years. 10. Black tea consumption reduces total and LDL cholesterol in mildly hypercholesterolemic adults. 11. USDA: BLACK TEA CONSUMPTION REDUCES TOTAL AND LOW DENSITY LIPOPROTEIN CHOLESTEROL IN MILDLY HYPERCHOLESTEROLEMIC ADULTS.